We have the most modern winding machines with integrated calibration systems for accurately measured yarn lengths according to customer request. 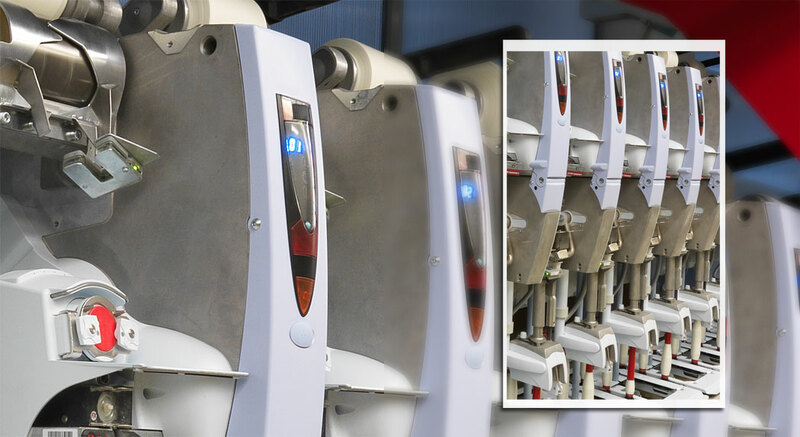 All machines are equipped with highly modern yarn cleaning and foreign fibre detection systems. These technological devices allow highest winding quality for the further processing of the yarn by our customers. Thus we offer the best preconditions for optimum processing capabilities of our yarns as well as reduced yarn waste in the following finishing processes. This means a plus in productivity and cost cuts for our customers. As an important partner of the market leaders in textile machine engineering we are involved in new developments and prototypes are tested in our company on a practical basis. Specific requirements in terms of presentation, running length, weight etc. can be put into practice.